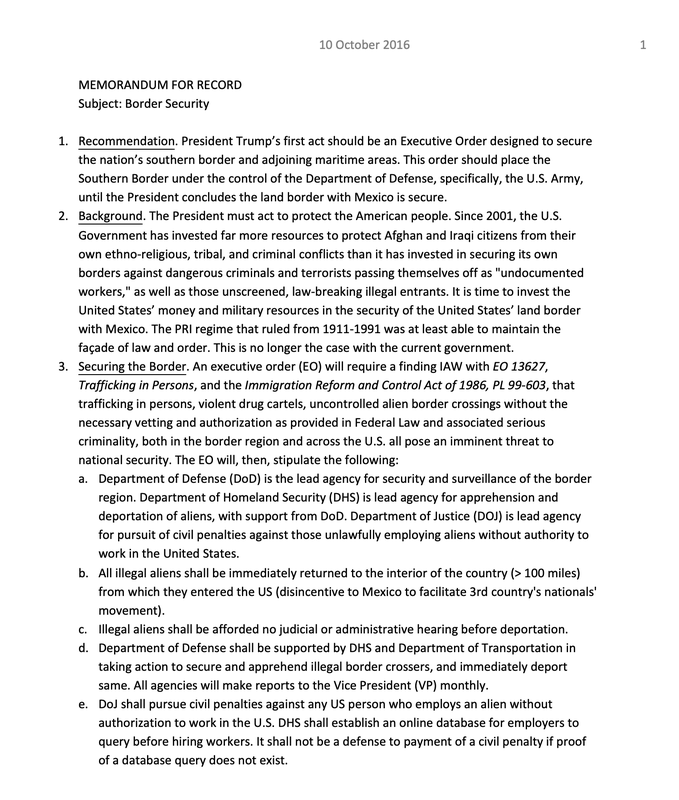 The groundwork was laid for President Trump to take action to secure the US-Mexico border even before he took office, new documents show. Below is a proposed Executive Order drafted in October 2016 by retired colonel Douglas MacGregor. It was submitted to the President’s team where it circulated until Steve Bannon’s departure in August 2017, sources say. The three-page document includes a draft order with an addendum offering additional considerations. It was leaked to me exclusively. The leak comes at a time when President Trump is considering declaring a national emergency to build a wall along the US-Mexico border. This would allow him to circumvent Congress, including Democrats eager to block one of his core campaign promises. 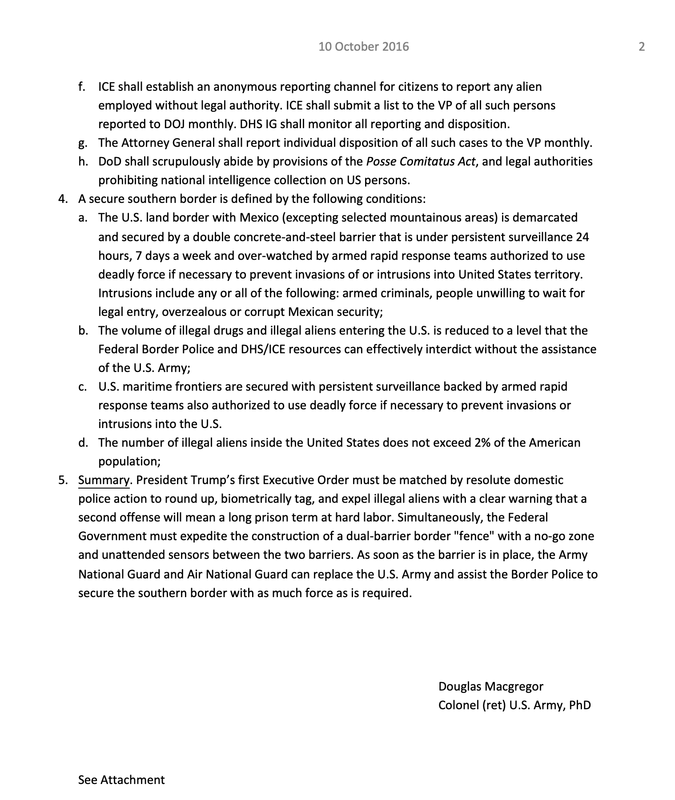 The order directs the Secretary of the Army to secure the southern border using Army Forces until it is demarcated and secured by a barrier, excepting selected mountainous areas. The barrier would need to be under persistent surveillance 24 hours, 7 days a week, and over-watched by armed rapid response teams authorized to use force in order to repel invasions and illegal border crossings into United States territory. 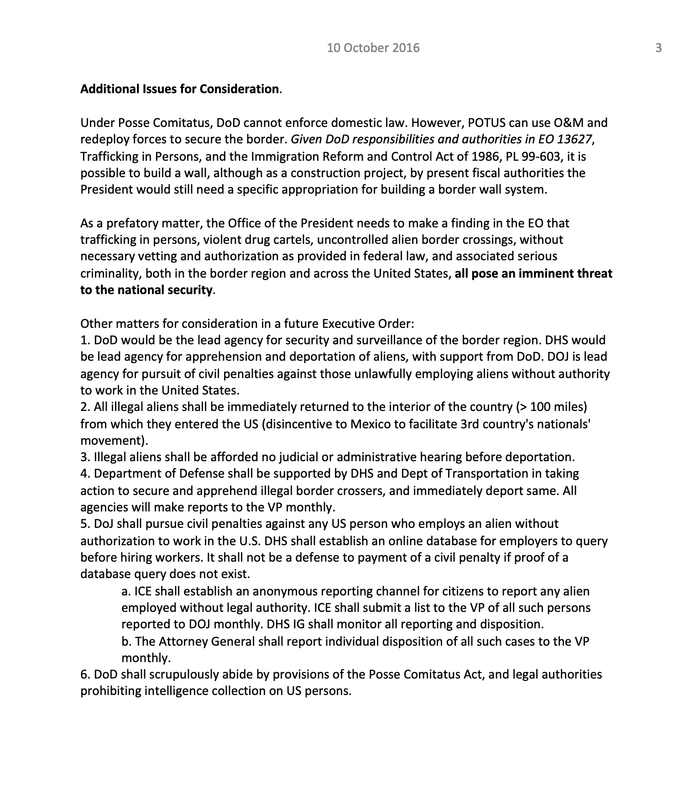 The order would keep Army Forces on the border until the volume of illegal drugs and illegal immigrants entering the U.S. is reduced to a level that the Federal Border Police and DHS/ICE resources can effectively interdict without the assistance of the U.S. Army. And, notably, until the number of illegal aliens inside the United States does not exceed 2% of the American population. 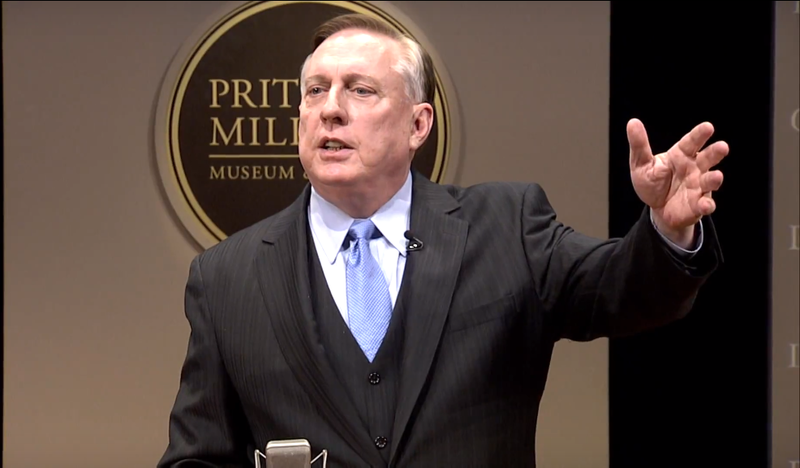 Media, politics, national security, innovation, personal development. Memetic warfare/info war theorist.